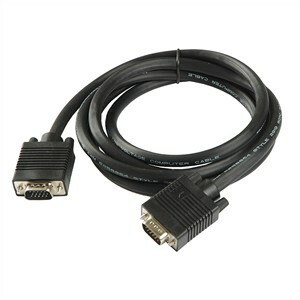 Connect your analog monitor with this standard SVGA monitor cable. Uses male DE15 (HD15) connectors at both ends. Ferrite core reduces electromagnetic interference for improved video transmission.